His vision for this company is to use vivid cinematography and digital media to tell the compelling stories of scientific discoveries and exploration on the vessel, Alucia, as it moves around the world. His inspiration for this vision began in 2012, when Alucia documented the first ever footage of the Giant Squid. The images of this significant ocean discovery captured the attention of audiences around the world, which Mark felt fully demonstrated the ship’s unique power to capture ground breaking ocean media. 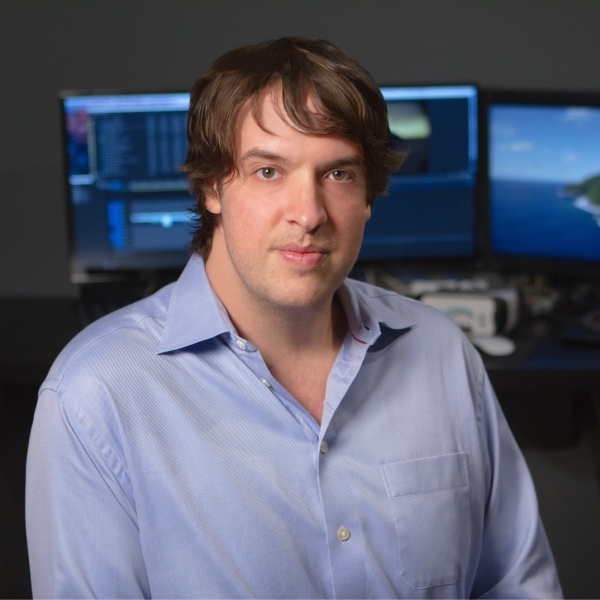 Since founding Alucia Productions, Mark has featured the work of Alucia in the PBS’ Nova Special Creatures of Light, David Attenborough's show Great Barrier Reef and BBC’s landmark series Oceans. Dr. Vincent Pieribone joined the Dalio Foundation as Vice Chairman of the Dalio Ocean Initiative. In addition, he is a Professor of Cellular & Molecular Physiology and Neuroscience at the Yale School of Medicine and a Fellow at the John B. Pierce Laboratory. His research is directed at discovering and engineering methods to measure brain activity using a combination of light and proteins found in the ocean. Over the past 15 years he has conducted ocean research expeditions across the globe. He has started both a pharmaceutical company and a medical diagnostic company. Vincent also serves as a Research Associate for The American Museum of Natural History and on the Scientific Board of Directors of the Mystic Aquarium. Vincent attended New York University College of Arts and Sciences where he received a baccalaureate degree in Biology and Chemistry in 1986. He then attended New York University’s Graduate School of Arts and Sciences and received his doctorate in Philosophy in 1992 in neuroanatomy and neurophysiology. He later received his Masters of Art privatum from Yale University. From 1990 to 1992 he was a National Science Foundation and Fogarty International Fellow at the Nobel Institute of Neurophysiology at the Karolinska Institute in Stockholm Sweden. From Sweden, Vincent did post-doctoral work at The Rockefeller University in New York from 1992 to 1995 and became an Assistant Professor there in 1995. Vincent joined the Pierce Laboratory in December 1997 where he continues to conduct his scientific research today. 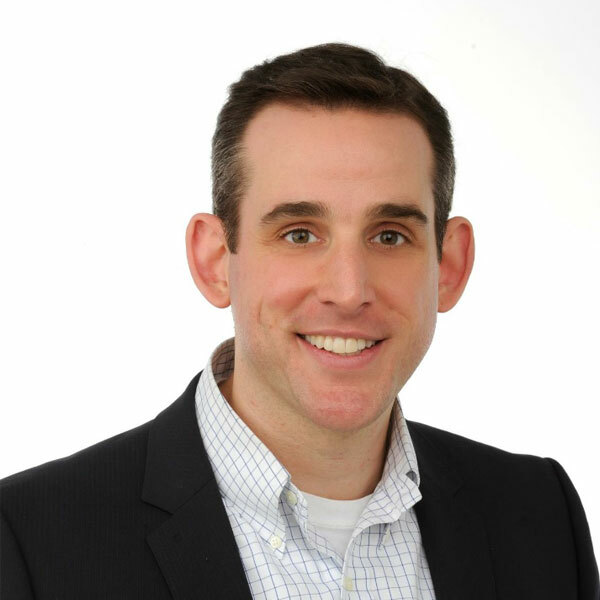 Joe comes to OceanX with a long history in both traditional and digital media leading teams and projects at the Disney ABC Television Group, ABC News, Samsung, Aol, Nickelodeon, and CNN. His background spans management, strategy, business development, editorial, and product development and includes the successful launch and building of several major deals, sites, videos, businesses, and experiences. He has a deep passion for the Oceans and achieving the mission of "bringing back" the many exciting stories and experiences around ocean exploration. Joe has a bachelors degree from Brown University and a MBA from Emory University. Born in Christchurch New Zealand, Gerrard joined the Royal New Zealand Navy in 1971. Following a career spanning some 22 years based both in New Zealand and overseas, he resigned to look for new challenges, still within the marine industry. At the time of his departure from the navy, he held the multiple roles of Commanding Officer of the New Zealand Navy Shore Establishment in Defense Headquarters Wellington, as well as the operational roles of the Director of Naval Engineering Plans and the Director of Marine Engineering. 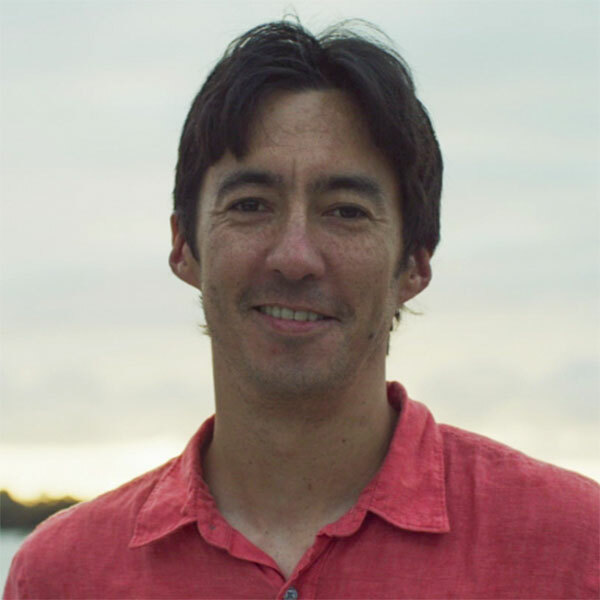 On leaving the navy in 1993, he joined the internationally multi-award winning Pacific Islands based boutique cruise company, Blue Lagoon Cruises, as the Director Marine Operations and Engineering. Two years later he was appointed to the Board of Directors of the company as the Managing Director and CEO, a position he held for the next 12 years. In 2008, Gerrard joined the international company Fraser Yachts Worldwide as the Director of Yacht Management based in the US. Some 18 months later his responsibilities had expanded to also include head of Charter Management and Marketing Worldwide, Project Management Worldwide associated with new-builds and refits, and the role of the President of the subsidiary company The Crew Network. Shortly after this, Gerrard was appointed as the COO for the company. In 2015, Gerrard joined the Alucia team in the role of CEO Marine Operations. In this role he has responsibility for all things marine within the OceanX including the purchase and conversion of the Alucia 2 into a recognized worldwide leader in the field of Oceanographic Research. Samantha Loshiavo earned a Bachelor's Degree in Film and Video from Drexel University’s Wesphal College of Media Arts and Design in Philadelphia. After earning her degree, she moved to Los Angeles and quickly gained experience as an assistant to an Executive Producer on multiple television series. 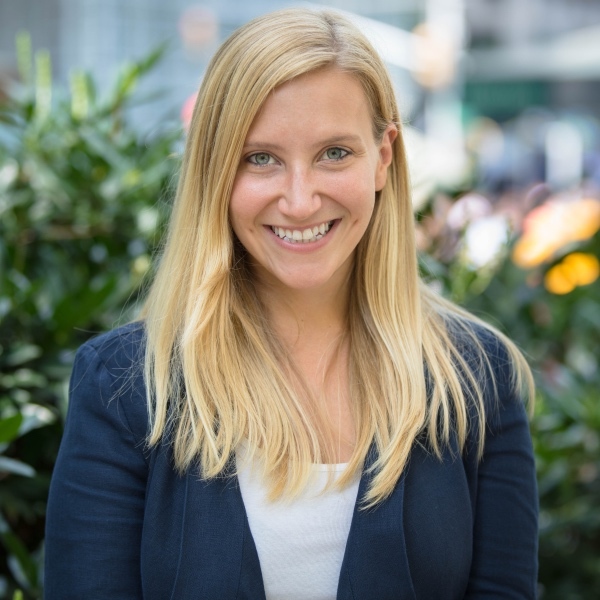 After 3 years in Los Angeles, she moved to New York City and transitioned to roles with a focus in conservation media, working as a Production Coordinator for “Years of Living Dangerously”. From there, Samantha transitioned to a Studio Manager position at Alucia Productions, and was recently promoted to Production Manager. Samantha is an avid distance runner, recently completing the Philadelphia Marathon. She spends her free time reading and taking care of her dachshund, Squidward. Dr. Lida Teneva manages the research and operations behind the science program for OceanX. She is trained as a geologist, ecologist, oceanographer, and conservation scientist. Before joining OceanX, Lida travelled the world on expeditions as a guide for National Geographic expeditions in Alaska, Canada, Mexico, and the South Pacific. Prior to that she built marine conservation and science programs for coral reef stewardship with Conservation International and worked extensively in Pacific Islands, including Hawaii and Fiji. Her conservation interests emerged after a decade of working on ancient and modern coral reefs, reconstructing past climate change and predicting future change for reefs and the people dependent on these ocean resources, in Barbados, Dominican Republic, Australia (Great Barrier Reef), French Polynesia, Palau, the Northern Line Islands (Palmyra Atoll). 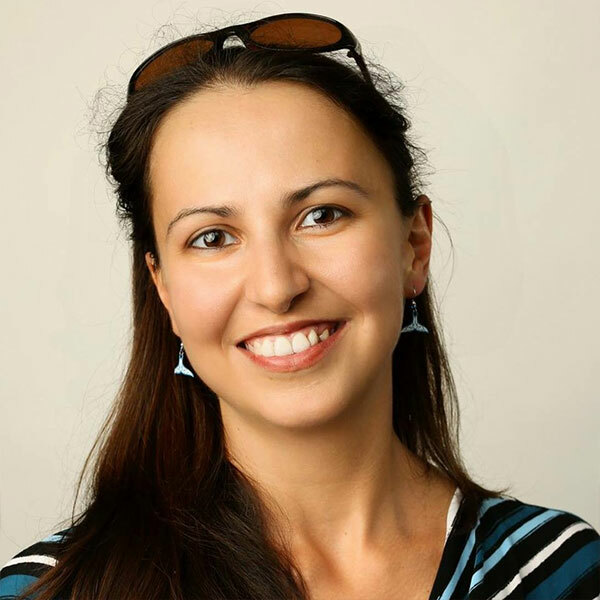 A native of Sofia, Bulgaria, Lida spends her free time traveling, fly-fishing, and flying Cessna airplanes. Mattie Rodrigue joins the OceanX science team as a Research Analyst. 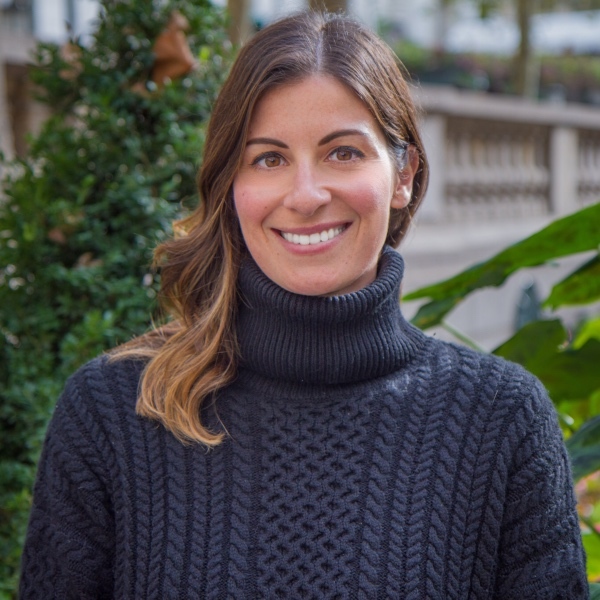 She is a marine biologist with expertise in fisheries science and management, ecological science and policy, coastal community resilience, and experience working on ocean, weather, and climate science and policy. 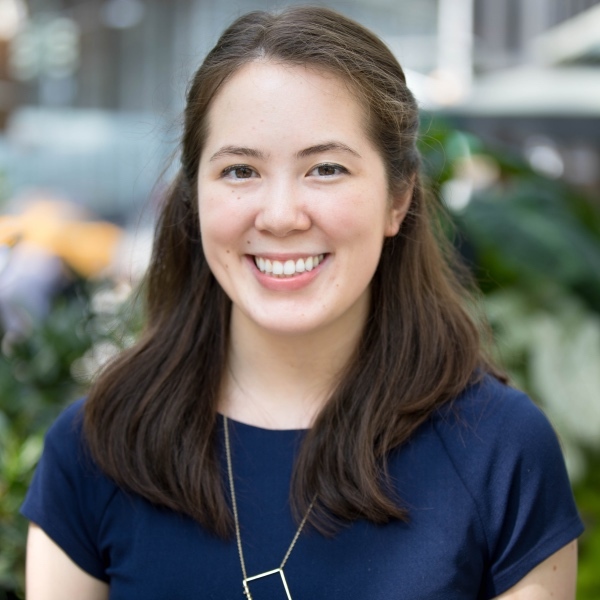 Mattie joins us from Washington, D.C., where she was a John D. Knauss Sea Grant Fellow for Marine Policy, working at the National Oceanic and Atmospheric Administration in Oceanic and Atmospheric Research. At NOAA, she helped develop and implement science and policy initiatives furthering NOAA’s research mission. Prior to the Fellowship, Mattie earned a Master of Science degree in Marine Biology, and a Master of Science degree in Marine Policy from the University of Maine, where she ran a collaborative fisheries research program assessing New England fisheries population dynamics in a commercially collapsed region. Additionally, she worked at a small non-profit in eastern Maine and helped further their mission to identify and develop coastal community science and policy needs. 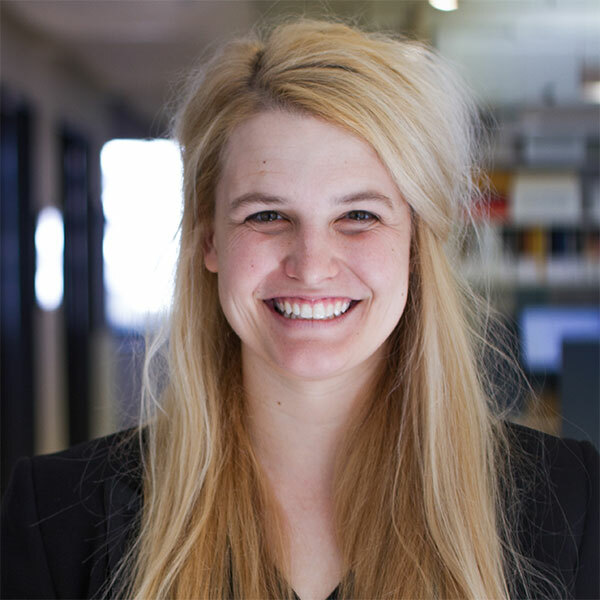 Mattie is originally from Phoenix, Arizona, and graduated with a Bachelor of Science degree from Arizona State University, where she majored in Biological Sciences, with a concentration in Conservation Biology and Ecology. Saiya graduated from Boston University with a degree in Film and Television. Before joining Alucia in July 2017, she worked at WNET/Channel Thirteen – New York’s local PBS station. As Alucia Production’s administrative assistant, Saiya is responsible for day to day office operations, scheduling, and helping with special projects. Peter joined the Alucia team in 2014, and is Captain. He has overriding authority on board the ship. He makes sure that the Alucia is properly manned and maintained. He also supervises administrative tasks such as budgeting, obtaining necessary and up-to-date certificates, charts, and documents, as well as recording logbooks. Before the ship goes on any voyage, Peter checks its seaworthiness, and that all cargo and equipment are correctly transferred. Once the Alucia starts its journey, he ensures it is navigated and maneuvered safely. Peter comes from a family who worked in ship manufacturing in North East England. In 1989, he started his career at sea as a deck officer after graduating Warsash Nautical College Southampton. He worked on larger cruise vessels until 2006, when he started working on expedition vessels. Peter was given his first command in 2008, and has travelled all over the world. As Captain of the Alucia, Nick has overriding authority on board the ship. He ensures that the vessel is properly maintained and staffed. He oversees administrative tasks such as budgeting, getting necessary and up-to-date certificates, charts, and documents, and recording logbooks. Before every voyage, Nick is responsible for making sure it is seaworthy, and that all cargo and equipment are transferred properly transferred onboard. Once the Alucia is on its journey, Nick makes sure it is navigated properly and maneuvered safely. Nick was born in London, England, and graduated from the Sir John Cass School of Transport and the Warsash Nautical College. He was the first in his family to go to his sea, and was subsequently followed by his father. Nick has served on reefer ships, ferries, cruise, and expedition vessels. He decided to join the Alucia to explore ocean research and take part in its missions. Scott joined the Alucia crew in 2012. As Chief Mate, he is the Captain’s next of command, and personal assistant. He is responsible for ensuring the Alucia’s seaworthiness, which he does by working with the chief engineer to maintain deck operations. He also is responsible for minimizing the Alucia’s impact on the environment by monitoring potentially hazardous materials, and overseeing waste management, and supervising the ballast water. Scott performs ship navigation and maneuvering, and records a daily log. Scott grew up along the shores of Lake Michigan. After getting a degree in psychology from the University of Wisconsin, Scott pursued his maritime career, obtaining his USCG Master 1600 ton license. In his spare time, Scott enjoys downhill skiing and SCUBA diving around the world, or wakeboarding with his friends. Derek McQuigg is Chief Mate – the Captain’s next of command and personal assistant. Together with the chief engineer, he manages deck operations and maintenance. He monitors any potentially hazardous materials aboard the ship, as well as overseeing waste management and the ballast water system. He works with the nurse to maintain medical equipment inventory, and keep the hospital tidy. Derek ensures the Alucia’s seaworthiness, and performs ship navigation and maneuvering, and records a daily log. Derek is originally from Kuttawa, Kentucky, where he grew up on the waters of Lake Barkley. He got a degree in business management from Lipscomb University in Nashville, before starting work in the yachting industry. He has since obtained his 1600 Ton Master license. When not yachting, Derek enjoys diving, motorcycling, and playing the guitar. Alejandro has worked in the maritime industry since 1983, and joined the Alucia Project in 2006. As Chief Engineer, he is the Master’s technical representative, and is responsible for all the technical machineries and engineering concerns on the ship, and keeping them in compliance with operating as well as Quality and Safety guidelines. In addition to keeping the inventory stocked, performing the stated recordings for the logbooks, Alejandro determines what repairs are needed, monitors maintenance, and reports any defects that could affect the ship’s performance. Alejandro was born and raised in Buenos Aires, Argentina, where he lives with his wife and three daughters. When not working, he likes to watch his daughters’ field hockey games, and is an avid rugby enthusiast. Alejandro is from Montevideo, Uruguay where he lives with his two children. He has over 17 years of experience working on container ships, petrol tankers and more recently on super yachts, both as chief and 2nd engineer. He joined MV Alucia in Auckland, New Zealand and has been really enjoying working with a great crew and all the trips onboard ever since. Julian is from Dartmouth, Massachusetts and grew up exploring the waters and islands of Buzzards Bay. He has a B.S. in Management Information Systems from Worcester Polytechnic Institute. He spent 8 years working for the U.S. Antarctic Program, including three 'winter-over’ deployments to Palmer Station, Antarctica, and many missions on Research Vessel Ice Breakers. In a previous life, Julian was a law enforcement officer with the Dartmouth Harbormaster Department, and he was also previously with the Massachusetts Division of Marine Fisheries, supporting researchers and policymakers both on and off the water. When he’s not on the Alucia, Julian enjoys spending his time hiking, camping, kayaking, sailing, and generally enjoying life. Julian is happiest when he is on, in, under, or around the ocean. Gaeli is the ship’s Purser. As purser, Gaeli is responsible for accounting. She assists the Master with general administrative needs. She also collects passenger travel documentation, distributes onboarding documents, maintains crew and passenger lists, and communicates with the authorities when entering and leaving ports. She represents the crew, and facilitates their medical needs, ensures they have current visas, and coordinates all travel arrangements. Gaeli, a proud Canadian, calls Vancouver Island in British Columbia home. She has a Bachelor’s degree in Literature and has worked extensively in all aspects of the hospitality industry. She loves exploring destinations off the beaten track, and has had memorable trips to Eastern Africa and the South Pacific. She is always keen to try new things and immerse herself in different experiences. Camilla was born and raised in Cape Town South Africa. After finishing school, her desire to travel kicked in and she moved to Dublin. After three years working in hospitality and as a PA she moved back home to study web and graphic design. Once Camilla completed her studies, she worked in the design industry for only one year before her inner travel bug started calling again. So, she set off to the South of France in 2009 where her yachting adventure began. Camilla took her first job as a chef and loved every minute of it. She has now been a chef on various sized yachts for 8 years and couldn’t imagine doing anything else. Camilla recently completed a yoga teaching trainer course in Bali. Her other hobbies include spending time with family at home, traveling with friends and experiencing different cultures food and wine. Janine joined Alucia as 2nd Stewardess, before taking on her current position of Chief Stewardess, where her she ensures the wellbeing, comfort, and safety of passengers and guests. She makes safety arrangements in the cabins, and demonstrates how to use safety equipment to guests. Janine keeps the cabins and common areas tidy, maintains inventory, and assists the kitchen team with serving meals. She also plans and arranges guest activities for when they reach land. Janine is from a small town in Cornwall, UK, where she grew up sailing with her family. She studied health and social care before moving to the South of France to begin her career in luxury yachting, which allowed her to travel the world extensively. In her spare time, Janine enjoys hiking, camping, and diving. As Dive Safety Officer, Steve is responsible for all SCUBA and re-breather diving operations onboard ALUCIA. He ensures the safety of all diving operations from the vessel, including diving for guests, media, and science teams. He obtains necessary permits, and makes sure the appropriate training, certification and safety operations take place, including organizing educational dive lectures. Steve supervises and leads Alucia dives. Originally from Bristol, England, Steve became a PADI Dive Instructor in 1995, and ran dive centers in the Caribbean, Bermuda, and the Egyptian Red Sea. He became one of PADI’s youngest members to obtain the rating of PADI Course Director. Steve has done dives on every continent. He loves all aspects of being underwater, from filming content, teaching new divers, and encouraging others to experience the underwater world. As Sub Team Leader, Mark is responsible for carrying out all submersible and ROV operations on Alucia. He ensures that all submersibles are safe to use, and that the people using them have the proper equipment and training. Mark maintains the subs and their equipment. He also handles mission related logistics. During dives, he maintains communications with the subs, and is on hand to monitor the situation. Originally from Dorset, UK, Mark served in the British Royal Navy for 14 years as a clearance diver, conducing bomb disposal and underwater engineering. He also worked as a senior rescue pilot for the Singapore Navy. Mark now lives on the Island of Nusa Lembongan off Bali with his wife. In his off time, Mark enjoys surfing, kite surfing, and diving. Raymundo is the Electrical Technical Officer. It is his responsibility to keep the ship’s electrical systems up and running, which requires regular maintenance. He monitors the engine room, which holds the ships generators and main switchboards. He also keeps an eye on the deck and accommodation electrical systems, which are essential to ship operations and safety protocols. Raymundo is from Verracruz, Mexico. In his spare time, he enjoys travelling and discovering new and untouched coastal areas. He enjoys spending time on the beach with a good book, his wife, daughter, and son. Rafael is from Veracruz, Mexico, and this is where he lives with his family. He is a very proud husband and father to his two daughters. Rafa was the Chief Engineer on MV Umbra and has been a great part of this program for several years, working between the two vessels. Rafa loves his job role, and enjoys exploring the world with his Alucia family, he is very happy to be back working with old friends again. Kirsty is one of the chefs aboard Alucia. She supports the Head Chef in the preparation of all crew meals. Kirsty maintains food quality, and keeps the gallery and food storage areas clean, hygienic, and safe. Originally from South Africa, Kirsty started her hospitality career in London. She discovered luxury yachting in 2009, and worked seasonally as a stewardess. Eventually, she decided to combine her creative side with her love of food, and became a chef. In her off time, Kirsty enjoys spending time with her family outside of Cape Town. Kirsty enjoys being outdoors, and her hobbies include photography, travel, design, and experiencing new cuisines. Alan was born in the small village of Kilwinning on the West Coast of Scotland. He was born in May 1967 and joined the Royal Navy (RN) in the September 1983 as a Weapons Engineering Mechanic. His branch changed to Mine Clearance Diver in 1989 and became a bomb disposal officer in 2000. He was responsible for mine clearance and bomb disposal duties in the UK and abroad. He left the RN in 2007 and joined UK Submarine Rescue Service, later working as a Submersible pilot for Singapore and Australia sun rescue. Alan is married to Audrey and they have a teenage daughter, Heather. In his spare time Alan is a keen diver and takes part in open water charity swims. Born in Fife Scotland 1982, Dave now lives in Perthshire, Scotland. Married with 4 children, his interests include DIY, gardening, cooking, running, football, cycling and hill walking. Starting working life in Rosyth Royal Navy Dockyard as an electrical technician working on all classes of Royal Navy surface vessels from aircraft carriers to mine hunters. For the last 10 years Dave has worked for a company delivering submarine rescue services to several navies worldwide. Within the submarine rescue service, he has had several roles including electrical technician, supervisor, electrical engineer, chamber operator and submersible pilot. Dave has also been Involved in all aspects of submersible design, manufacture, testing, certification and operation. Annie is a Midwestern US girl, born on the lakefront near St Louis. After several moves, including a year in Germany when she was seven, she found herself living on a lake in Michigan with sailing, waterskiing and wakeboarding in the summer and snowboarding in the winter with her three brothers. Annie made several trips to Honduras, volunteering to help improve an orphanage for kids with AIDS. After graduating with a dual marketing/management degree from the University of Kentucky, she went to work managing a bar in downtown Louisville. After a trip to Atlantis in the Bahamas in 2014 she was hooked on the yachting industry and has been there since. When not working Annie will be snowboarding, camping, hiking and traveling. As Dive Master, Bubby assists the Dive Safety Officer with diving operations. He ensures the safety of operations by ensuring proper certification is performed and that divers have the necessary experience. He conducts safety briefings, and makes sure that conditions are safe before dives. Bubby maintains inventory, and inspects equipment in accordance to safety guidelines. He helps organize dives, and acts as in-water supervisor for guests, scientists, media divers, and crew. Bubby grew up in Savannah, Georgia. His maritime career began in 2009 aboard a dining cruise boat. Since then, he has been a captain of a research vessel in the Dominican Republic, where he was part of a treasure hunting team. Bubby enjoys spending as much time in the water as possible, and is also an avid golfer. George started day working on board the Alucia, before being invited to be a permanent crewmember. The Alucia is his first vessel, and he serves as deckhand. He performs painting, lubrication, repairs, and other maintenance jobs. He helps ensure safety and working equipment are used correctly and are in good condition. He also assists with the launch and recovery of submersibles, and with ship operations such as mooring and anchoring. George supports all media and science guests. George was born in the UK, but moved to New Zealand in 2000 and is not based in Auckland. He enjoys hiking, swimming, and keeping active. His main hobby is ice hockey, and he has had the honor of wearing the New Zealand jersey in two world championships. Born and raised on the coast of Maine, Eddy started his maritime adventures at a young age, spending the warmer months sailing between the Maine islands on the family sailing vessel and as a lobsterman fishing 50 of his own traps along the rocky coast in a boat built with his father. This led to sailing schooners down the eastern seaboard in his teens and a commercial fishing career upon the Bering Sea in his early twenties. After 4 years of education at Maine Maritime Academy he found himself working as mate aboard a cargo vessel. Looking for new adventures and challenges, Eddy joined the Alucia in 2016 and he has had many adventures, including a trip around South America and into Antarctica. Stefan comes from Tauranga, New Zealand and grew up learning about sailing and life on the water from his father, a boat builder by trade. Previous to working on Alucia, Stefan worked on MV Umbra for 2 years. He joined the Alucia in 2017 and has been a strong member of the deck team ever since. In his spare time, you’ll find Stef enjoying motor cross and traveling the world.